What's Driving Retail Drug Costs? A large disparity exists between the prices of drugs in the United States compared with other countries. Assigning an index value representing the cost of a basket of prescription drugs to compare prices across countries showed the index values ranged from 95 in Germany to 46 in the United Kingdom, reflecting that U.S. retail prices for commonly prescribed drugs were 5 percent to 117 percent higher than prices in the other six countries included in the study. Prices for patented brand-name drugs are about 18 percent lower in Japan, and cancer drug prices are 20 percent to 40 percent lower in Europe.8 Several causes have been identified as contributing to higher U.S. prices. Lack of a central negotiating authority. In Canada and many European countries, it is common for the government to take responsibility for transactions with pharmaceutical companies. However, others believe these savings may be difficult to realize in the United States, especially because there is a ban on a federally required formulary.9 The federal government cannot negotiate prices for any populations other than Medicaid beneficiaries and military veterans. The commercial populations are subsidizing the low cost in these negotiated areas. Access to all approved drugs. The U.S. public and its health care system prioritizes accessibility and opportunities for coverage to all FDA-approved drugs to treat a condition. The U.S. health system uses tools such as cost-sharing and formulary to try to drive utilization to lower-cost alternatives but rarely completely eliminates coverage for a high-cost drug with no alternative. In contrast, other countries limit access to drugs where value is not, in their estimation, demonstrated to be significantly better than alternatives. 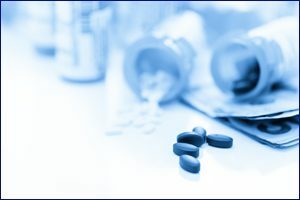 Some state Medicaid programs are moving in this direction, creating state mandated preferred and non-preferred drug lists, where sometimes less than half the drugs in a particular therapeutic category are available without prior authorization. Greater ability to pay. Prices may be higher due to the ability of U.S. health insurers to absorb those prices. Some patients are largely shielded from the high cost of these drugs due to mandated limits in insurance out-of- pocket costs. In addition, a large portion of the drug development and research processes are absorbed by the American payer as a result of their ability to pay. Regulatory environment. The FDA must review all of the clinical trials and determine if the drug is safe, effective, and its benefits to users outweigh its risks, which can take longer and cost more than reviews by other nations. Furthermore, the United States has requirements for patent and exclusivity periods. The general term for a new patent, which the FDA requires to be submitted for new drugs, can be up to 20 years. Similarly, the FDA can grant exclusive marketing rights for drugs that meet certain statutory requirements for varying periods (e.g., seven years for orphan drugs) that may or may not run concurrently with the patent period.10 An example of this is the seven-year exclusive marketing rights granted to orphan drugs (drugs for treatment of rare diseases).